Even if your workplace is on wheels or waves, we can help. Employers are responsible for the safety of their employees, whether they are driving a truck, working on a railroad, or working on a ship. Injuries to workers on ships can be pursued under numerous theories. One of the most common is under the Jones Act. The Jones Act is a law passed by Congress to make work on ships and boats safer and to give financial compensation to injured workers and their families. Vessel owners owe an absolute duty to provide a seaworthy vessel. The mere fact that a vessel is not about to sink does not mean that it is “seaworthy.’ A vessel is seaworthy only if it is reasonably fit for its intended use, is equipped with the right equipment and safety gear, and has a competent crew. In other words, it must be a safe place to live and work, and even when a vessel is seaworthy at shore, it can become unseaworthy during the voyage on the basis of dangers that are encountered or created. Jones Act claims provide compensation for pain and suffering. There is no limit on the recovery which can be had under the Jones Act, and a judge and/or jury is permitted to determine how much a worker is allowed for a particular injury. Thus, in California, while there is a limit on the amount of money that can be awarded to a worker under workers’ compensation, there is no such limit under the Jones Act. There is a requirement only to prove slight “fault” on the part of the employer under the Jones Act. Injuries aboard ships may also give rise to third-party claims. Under certain circumstances, such as when a seaman is injured by an employee of an independent contractor, it may be possible to pursue a cause of action against that independent contractor, in addition to a Jones Act claim. 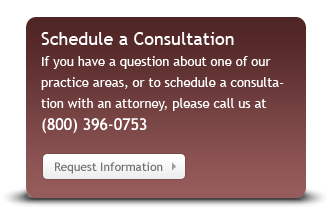 A qualified attorney can help an injured seaman identify all possible theories of recovery. 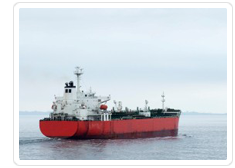 Vindicating a seaman’s legal rights and maximizing his or her recovery can be complicated. Lawyers unfamiliar with this area can leave their clients with inadequate settlements. Many employers try to take advantage of injured seamen, and the financial plight such an injury can create. We have handles many such claims and are prepared to consult with you, risk-free, to explore the possible avenues of recovery for you and your family. Contact us today to put our experience to work for you.